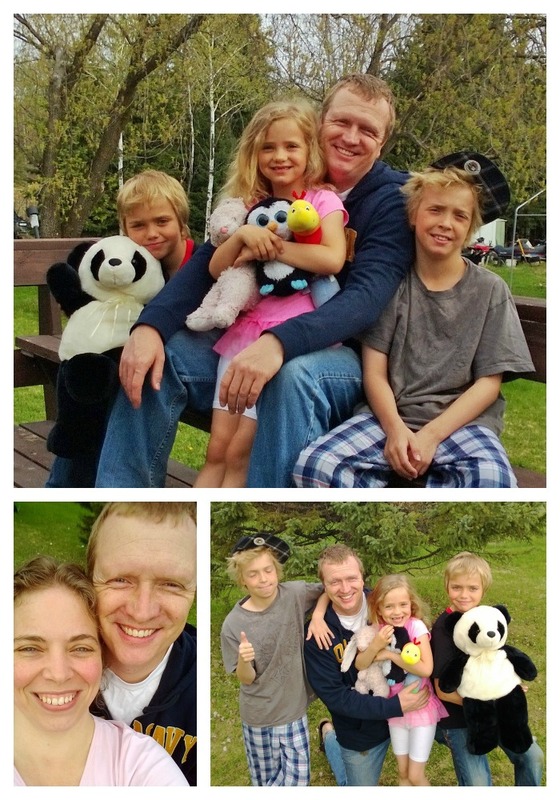 Today was my husband's 39th birthday so we took "Happy Birthday Daddy" pictures for fun. The kids felt the need to include some of their favourite stuffies too. Of course.